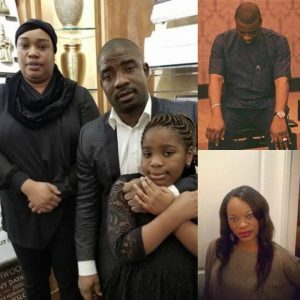 Late daughter of Fuji maestro, Wasiu Ayinde Marshal, who died in Mississauga last week Tuesday at the age of 34 was laid to rest in a private cemetery in Toronto. Late Wasilat was given a befitting burial by K1 Canada-based wife, Yewande Marshal, her two children, brother and friends of the deceased. Bolaji Basia’s wife, Bukola, and K1’s friends, Anderson Dare and Rabiu Mowunmi were all spotted at the event.